Whether you consider yourself a supporter of the movement or not, we want to meet you: come share your ideas and stories, learn about the movement, argue with us, debate with us, collaborate with us. 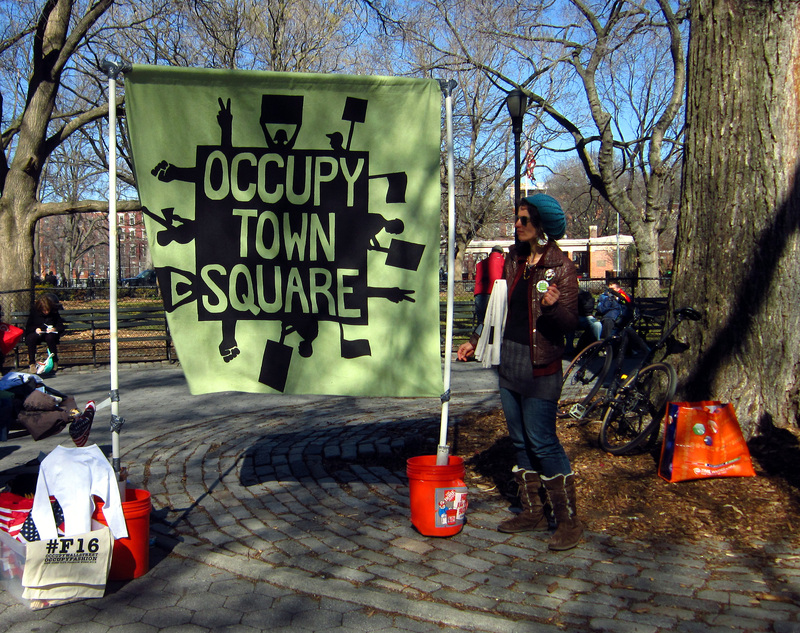 If you're already active in OWS, this is a chance to exchange information, to coordinate between working groups, and to get to know our brothers and sisters in the movement. What a beautiful day to gather in the park. There was minimal police representation, but they made their presence known. 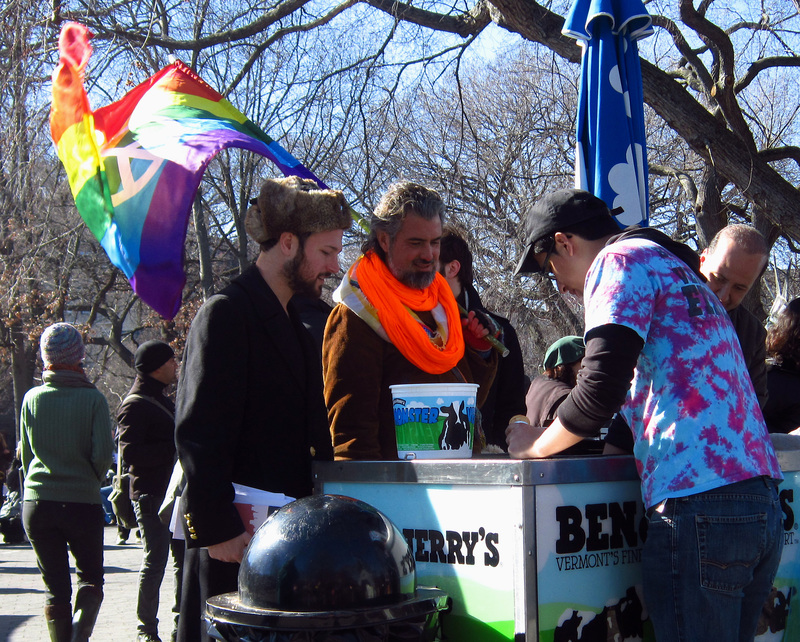 And Ben & Jerry's dished out ice cream. 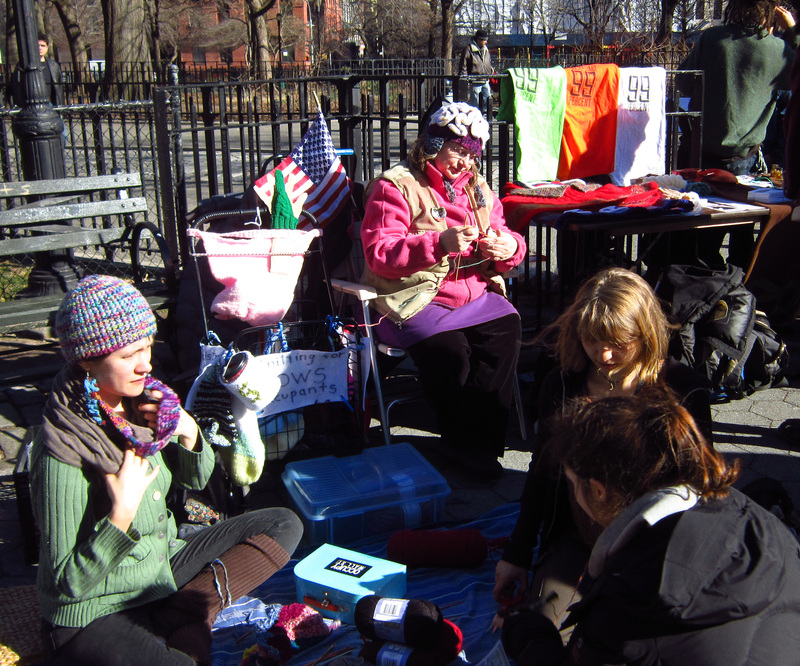 Speaking of Jerry, here is Jerry the Peddler. 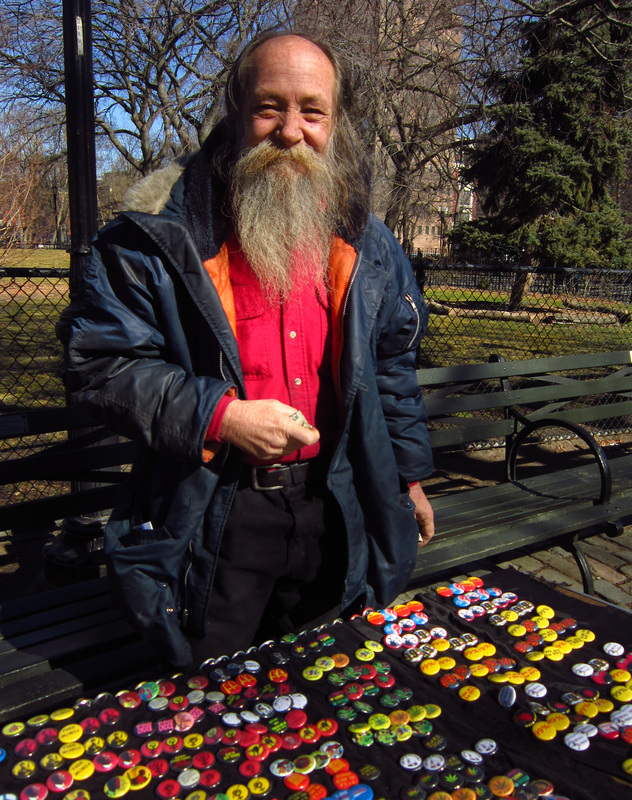 He makes awesome pins and is one of the nicest people in the neighborhood. Buy a pin when you see him! 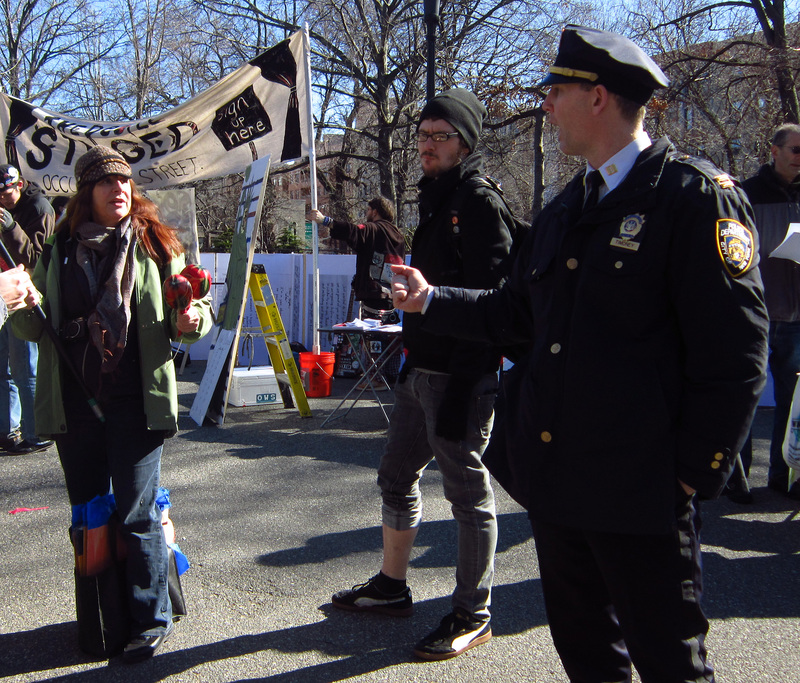 Be sure to check out our friend, GammaBlog, who has some interesting interviews with occupiers. @Grieve - I thought so, too. I really enjoyed talking to people and seeing so many turn out and be productive. Aside from the one cop making a fist at that woman, I didn't witness any negativity. This event reminded me a lot of why I'm proud to live here. Sorry I missed that but your photos are great and I loved the video! Whenever I go to an OWS outing I always leave feeling hopeful. Hopefully I can make the next one.